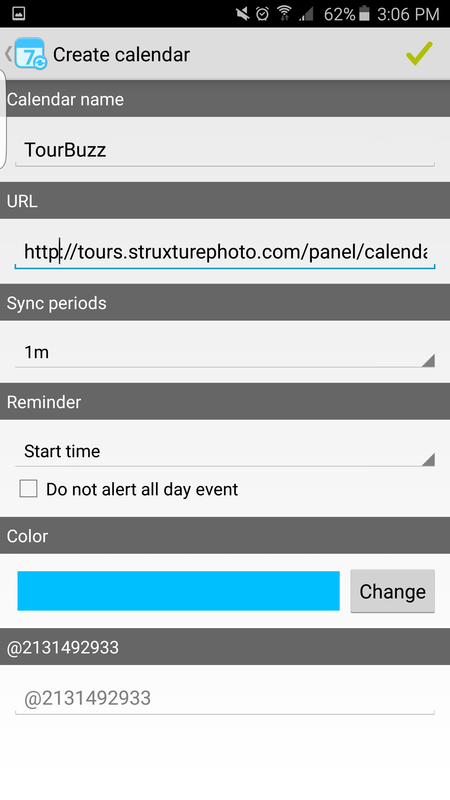 Below are instructions to view your TourBuzz calendar on your Android device using iCalSync. If you have multiple photographers and want to set up each of their calendars on your device, you will have to complete the process for each photographer's calendar. Go to the My Schedule page on Tourbuzz from your Android, press and hold the Outlook calendar link, and select "copy link address." 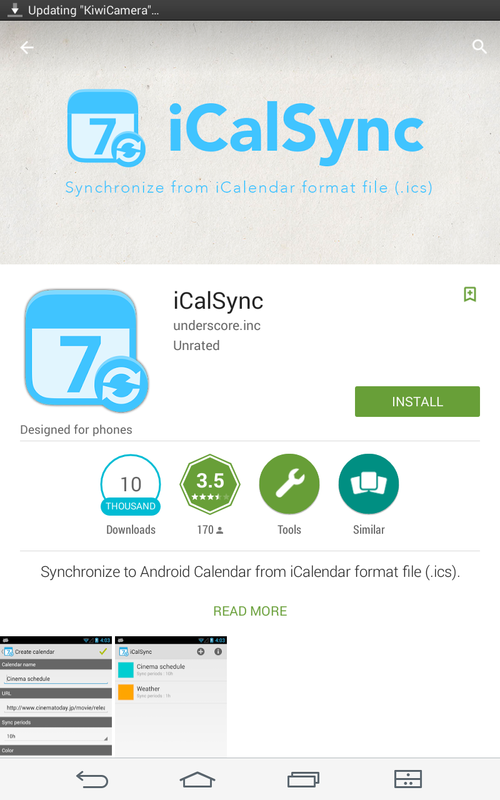 Open the iCalSync app in your phone, click the add button (+). In the URL field, paste the copied link from TourBuzz and change "webcal" to "http" at the beginning of the URL. Configure the preferred sync update time (ranges from 1m up to 16h). Save the calendar by clicking the green check mark in the upper right-hand corner. 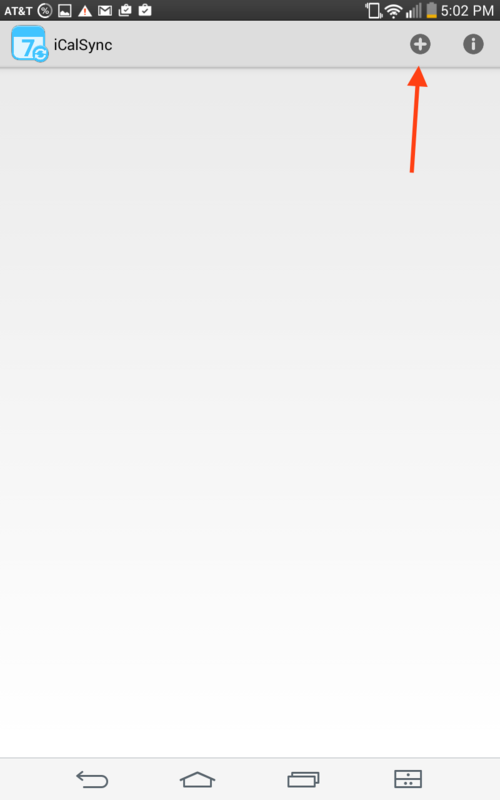 Optional: Tap on the newly created entry to perform a sync. 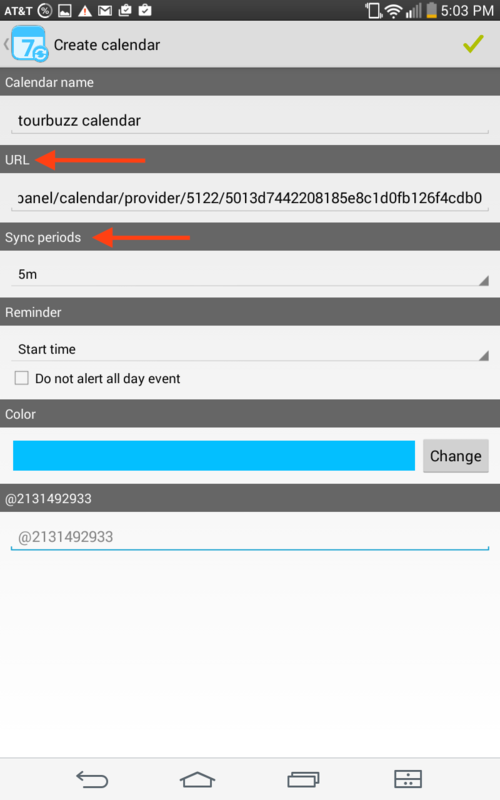 Open your native calendar app in your phone and make sure it pulled your appointments. *If your calendar does not sync, may sure you have grabbed the Outlook calendar link from Tourbuzz and not the iCal. The Outlook link is formatted to work for your android devices.